Playing off the name of the guard dog of Greek and Roman myth, Cerberus’ name alone gives a good first impression among security apps. Installing is your standard procedure -- choose a username and password and, well, that's it. As with the other apps we’ve covered so far, the real functionality of the app comes into play at the online dashboard. The interface is smooth and self-explanatory. Not necessarily as polished or aesthetically focused as some other apps (Seekdroid comes to mind), but intuitive and functional nonetheless. All of your control options come out of a drop-down menu, and their progress is duly noted in the handy sidebar next to the giant map which constantly displays the location of your device. I was pleasantly surprised to find that not only does Cerberus support multiple devices seamlessly, but the app also supports tablets. Since all of Cerberus' features are together in one menu (lacking the handy divisions we've seen with the past two apps) we’ll have to dive right in to what it has to offer and take a quick look at each feature. First on the list is your basic “start tracking” and “stop tracking.” These two do just what they say. The “start” function will switch on your device’s GPS even if it is turned off, making precise location a snap. 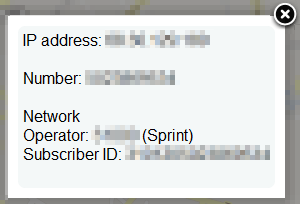 Next the user can “Get device info,” which will list your device’s IP address, current phone number (if applicable), network and subscriber ID in a nice minimalist popup. All of this information is also stored in the side bar I mentioned earlier, meaning the user can easily go back and look at all the information again if need be. Update: As the dev pointed out in the comments, Cerberus also features a SIM Checker tool for GSM devices. 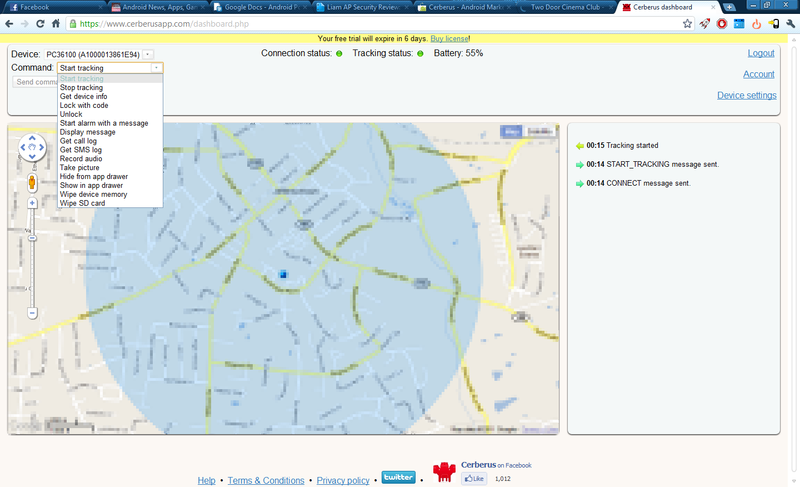 The tool can alert up to three authorized phone numbers of a change in SIM information, and simultaneously report location information while still continuing to protect the lost device. Continuing on, Cerberus offers the usual Lock/Unlock features in which a user can choose an unlock code and remotely lock the device. This feature worked perfectly on my phone, but not my tablet. We’ll go more into tablet functionality a little later. The alarm options are robust, offering the choice of activating a full-volume alarm with a message, or simply displaying a message. 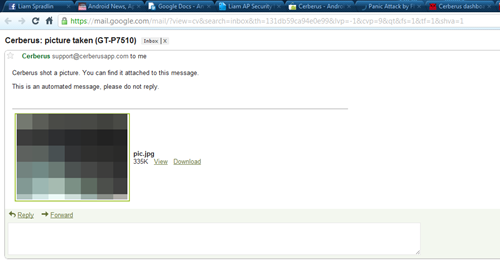 The message function actually blacks out the screen except for your chosen message, ensuring that it cannot be ignored. 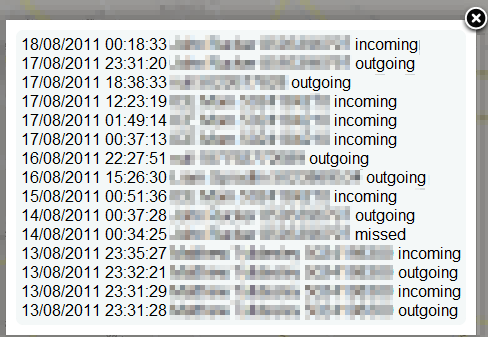 The call log Cerberus provides gives you the last 15 incoming, outgoing, and missed calls complete with contact names (if applicable), phone numbers, dates, and times. 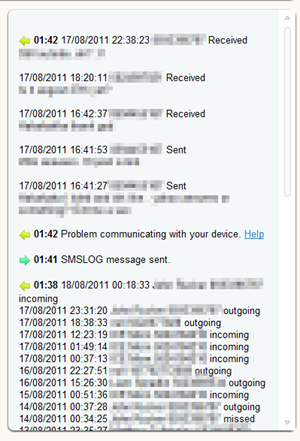 The SMS log provides only the last 5 SMS interactions, again including the contact name, phone number, date, time, and body of the messages. A feature that I was surprised (and impressed) to see in the dashboard was the option to record audio remotely from the device’s microphone. This worked surprisingly well and the audio file was sent promptly to my inbox. The “Take Picture” function worked in much the same way, and defaulted to the front-facing camera, with no option to use the rear camera. Cerberus also allows for hiding from the app tray, requiring a quick reboot to enable. Last in the main online controls are the wipe options, allowing the user to wipe either device memory or SD contents with the click of a button. Cerberus also offers root support and SMS remote control, but the user has to do a little digging in the “help” section of the site to do this. Root support essentially plants the app in the root of your device, meaning it will survive a wipe and continue to protect your phone. The help section contains a quick few lines of command code to push the app to root. Similarly, the SMS commands can be found in the help section, and any phone can be used to send the commands to your lost device. This is quite handy as it eliminates time spent setting up permissions for other devices. I was also impressed to find that Cerberus offered effective support for tablets. 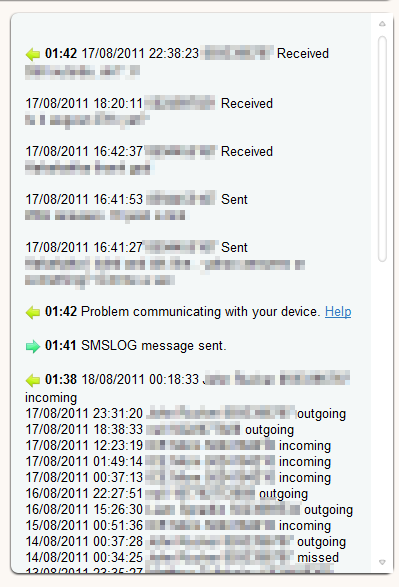 Of course the phone-related options such as call logs, SMS logs, etc. did not work as they are not applicable to a tablet. One function that I was surprised to find lacking was the lock feature. When trying to lock my tablet, I encountered an error each time. Looking at the native security options in Honeycomb, I found that there is indeed support for a PIN code, but the error on Cerberus’ part is understandable, considering the app is clearly not optimized to specifically work with tablets. Overall Cerberus offers a wide variety of security options for those faced with the challenge of locating and recovering their device. While it is a bit pricier than the apps we’ve reviewed so far, at €2.99 (that’s $4.31+/-) I would say that the support for multiple devices and overall reliable functionality are worth the price. To recap, let’s look at the overall pros and cons of choosing Cerberus over other loss/theft recovery focused security apps. Multiple Devices - Neither of the apps reviewed so far support multiple devices at once, so finding this feature in Cerberus was very refreshing. Tablet Support - The most important functions (excluding PIN lock) work for tablets as well as phones, which is a huge plus in my book, as it means I can secure both devices and only have to buy one app. Ease of Use/Usability - The online interface is very intuitive and has everything a user needs readily displayed. 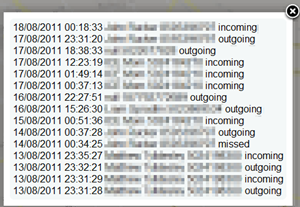 Activity is also logged in a sidebar, eliminating the need to recall data more than once. Google Maps - Cerberus is another example of an app that utilizes the full Google Maps experience in tracking your device, allowing everything down to street view to help you find your missing counterpart. SMS Support - Cerberus will accept commands sent to your phone from any other phone, offering remote control of the device even when data is turned off. Root Support - This is a huge plus for rooted users. 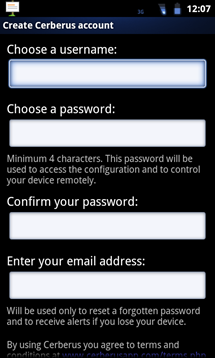 With a few simple commands one can embed Cerberus in the root of the phone, meaning it will survive a data wipe. Price - Cerberus may not be expensive relative to some security apps, but when competitors such as Android Lost are offering many of these services for free I would expect that the price should come down just a bit from $4. Tablet Support Could be Improved - Although it’s great that Cerberus can control tablets as well, I would love to see more tablet-focused features integrated, or at least see the PIN lock feature fixed so that the experience matches that of the phone. Cerberus, while pricey, provides an undeniably strong group of features. I can think of little else I would need from a security app in case of a lost or stolen device. The developers also offer a 7 day trial of the app, leaving no excuse not to check it out.